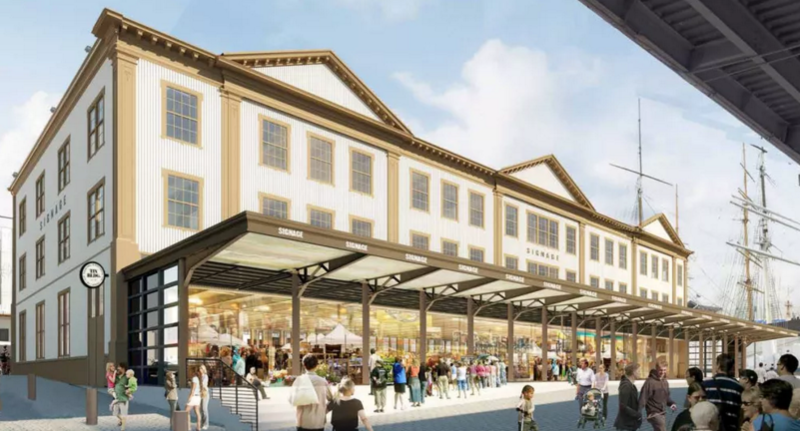 Manhattan’s New Market building at the South Street Seaport will be demolished, despite the efforts of preservationists to save the historic building. While a 42-story tower designed by SHoP Architects was originally slated to rise on the site, and eventually killed in December 2015, the removal of the New Market building has again raised questions over what will ultimately replace it. 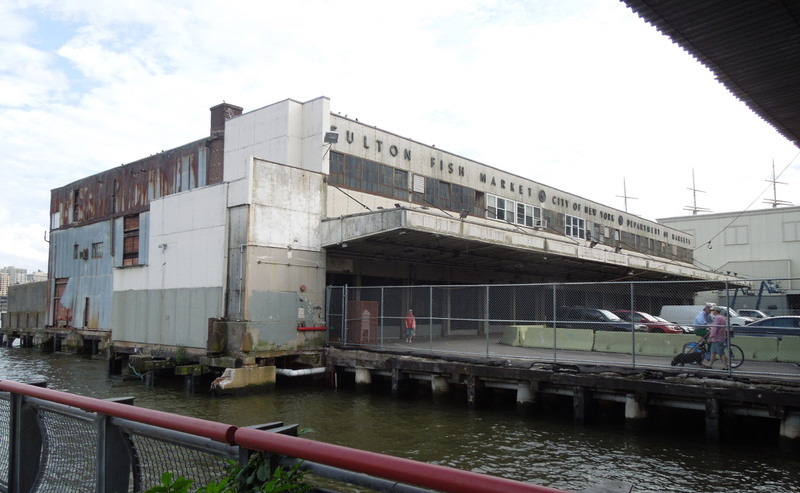 Built in 1939 as the last part of the surrounding Fulton Fish Market, the New Market building was designed by architects Albert W. Lewis and John D. Churchill under a commission by the Works Progress Administration (WPA). However, the market has been vacant for years and deteriorated to a point where the city has decided to remove it. When exploratory work for the Howard Hughes Corporation tower took place in 2015, a spokesperson for the city’s Economic Development Corporation (EDC) stated that the entire building was in danger of collapsing due to the decaying piles underneath the market. Although preservation groups such as Save Our Seaport were successful in preventing Howard Hughes’ tower from replacing the New Market, their suggestions appear to have fallen on deaf ears this time. The market isn’t an individual landmark and sits outside of the South Street Seaport historic district, and the city has already removed some of the building’s substructure, citing safety concerns. The timeline put out by the city will see the building fully razed by the fall of this year. A rendering of the Tin Building, which will need to be moved 18 feet forward. Community Board 1 and the EDC have been working together to coordinate the demolition, and some Save Our Seaport members see an ulterior motive behind the market’s removal. The South Street Seaport has been a hotbed of development in recent years, and advocates claim that they were told the New Market was in part being removed to put in a construction crane for the upcoming Tin Building. The Tin Building, as with the Seaport’s cancelled condo tower and forthcoming 300,000-square foot Pier 17 market hall, was also designed by SHoP and developed by Howard Hughes. It remains to be seen how the New Market’s lot will be used after work on the Tin Building is complete, or whether the two companies will have any involvement in the long-term plans for the site.